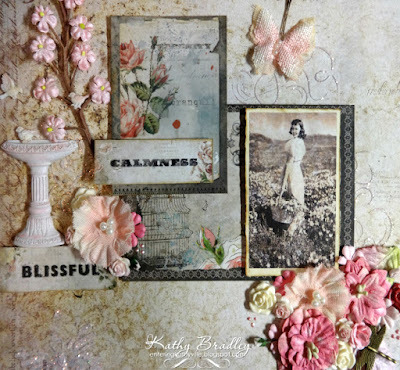 Blue Fern Studios has so many lovely paper collections - and this one is called Tranquility - and their papers are so heavy and can take many mediums and embellies. This is so very beautiful, Kathy! Love your color choices and embellishments!!! 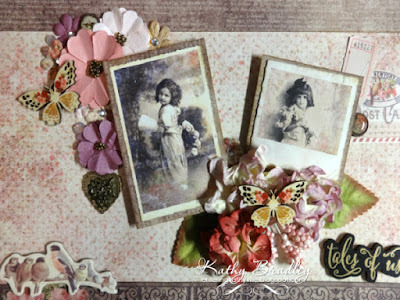 Kathy, this is such a lovely layout! Love how you used this collection. 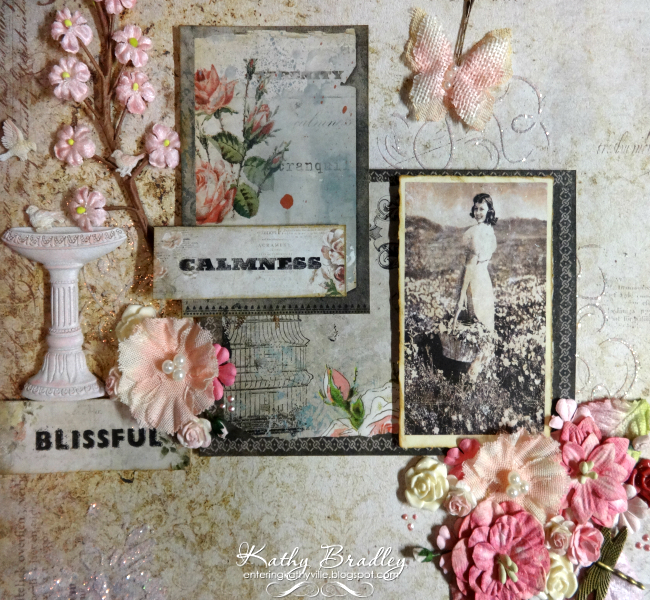 So glad you joined us at Blue Fern Studios for our sketch challenge this month. Beautiful! 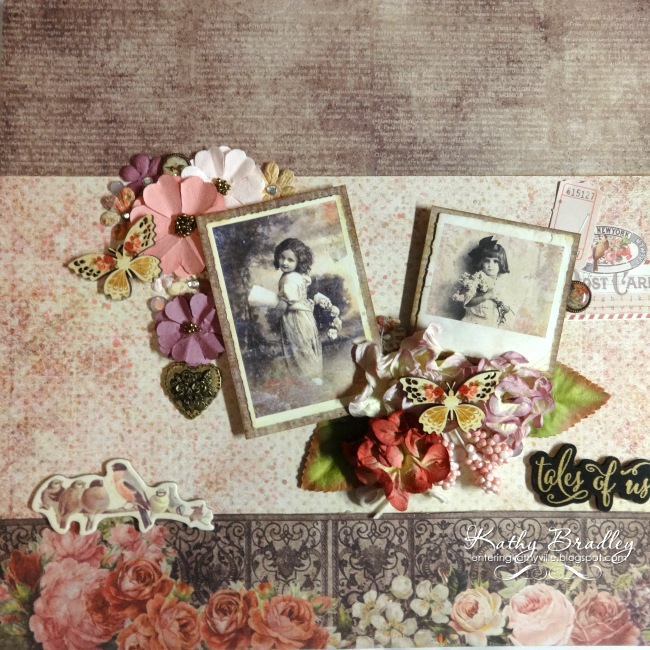 I particularly like how you angled the photos in that one layout and the gorgeous selection of flowers for both!